Witteveen House #2 | Historic Jacksonville, Inc. The original portion of the house at 305 N. Oregon Street in Jacksonville, commonly known as Kate Hoffman’s house or more recently as Elaine Witteveen’s home and studio, was constructed around 1868 by Sebastian Plymale. In August of that year, the newspapers noted the “pretty building of Mr. S. Plymale” which was “completed and ready for the occupancy of any ‘young and ardent lovers’ who desire to enter matrimonial alliance.” The first occupants were probably Plymale’s younger sister, Sarah Plymale Zigler (also Ziegler), and her husband Louis who was part owner of the property. Louis Zigler was a miner, blacksmith, proprietor of the Adams Hotel, and at one time the County Sheriff. Sarah had married Louis in 1854 when she was 15. 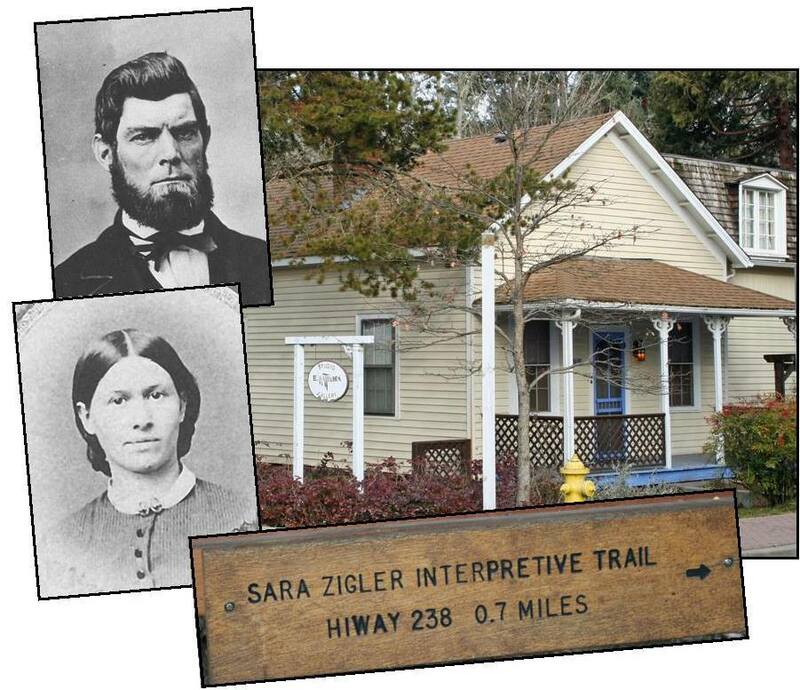 The couple moved to Roseburg in the 1870s. However, in 1878, Peter Britt sold Sarah 8 acres of his property for $1. No one knows why. But Sarah’s granddaughter donated the property to the Jacksonville Woodlands Association and you can now hike the 0.7 mile Zigler trail.